Made of a unique, very thin and very light carbon-plastic composite material, "Aelectra" technology can be installed in ceilings, walls, floors or below tiles and thus becomes an invisible heating system. "Aelectra" can be linked to smart building solutions. AR Mentor is a teleconference system with Augmented Reality 3D experience. Protec, the healthy and safe long lasting clothing insect repellent that protect you and your baby against mosquito diseases. Beeye (pronounce B.I.) is a cloud software solution to manage people and projects. 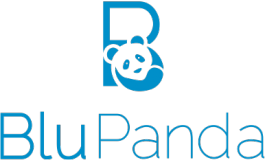 BluPanda builds software systems that automate the management of hospitals. Botpartner developped a chatbot, named Louis. You can communicate with him, have fun, learn things, ask for some services and enjoy spending time in your Smart Home. An immediate solution to the urban air pollution problem, by equipping any existing vehicle with an on-board hydrogen fuel-additive generator. Chynge applies AI-powered regulatory compliance to make cross-border payments safe from money laundering, terrorism financing, and other financial crimes. Our software solutions allow local governments to inform citizens on the topics they want them to engage in, tap into their collective intelligence without efforts, take data driven decisions, and track and reward citizen engagement in the city. Clefpay uses bitcoin technology to efficiently distribute music royalties from music streams and purchases. Intel of Photovoltaics, increasing efficiency, decreasing cost and increasing Flexibility to make solar energy affordable for everyone. 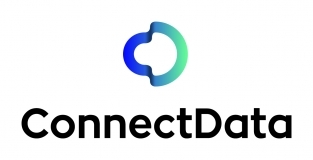 Cochlear.ai creates ears for artificial intelligence using cutting-edge audio signal processing and deep learning technology. Cocoche is a marketplace for car owners and those looking for short-term car rentals to enter into a lease agreement. Collaboration tool that organizes your team's communication and workflow by issue addressed. ConHubForm aims at building a green world of concrete beyond imagination. Technology focused on increasing efficiency to construction sector through predictive analysis, collecting data by IoT devices. Daylighted is the Spotify for art, a technology that transforms any screens into a virtual, on-demand art gallery. We patented anti-aging skin care product series (serum, lotion, facial mask, toner... ) in order to increase collagen production. 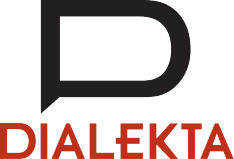 Dialekta gives your digital marketing a competitive edge through innovation. Doinn is an online platform where short term rental hosts and property managers can automatically schedule services such as housekeeping and laundry, provided by professional hotel service providers. e-bot7 brings practical applications of Deep Learning and AI to customer service and help companies achieve greater customer service efficiency. Exagens works with financial institutions to humanize and grow relationships in their digital channels with its Digital Personal Financial assistant. Favizone is a SaaS solution to automate conversational commerce and customer service through multilingual and multichannel virtual assistant. Team sourcing platform and tools to build a Dream Team and get funds. Fluger is a personal intuitive travel assistant that provides travel ideas based on users music taste. Gallinée is the first skincare brand to take care of the skin’s bacterial ecosystem: the microbiome. We are a gas management platform to provide transparence and certainty to the propane industry. An on-the-go travelling library that enables luggage-less travel. Giftpack is a global on-demand gifting service. A solution for event organizers to attract new targeted customers while transforming wasted tickets into charity. We democratize the art investment while supporting artists, galleries, and collectors. They are Innovative Technology Makers, CreArtive TransMedia Producers, Humanistic Social Workers. They devote their hearts to the next generation. First personalized content platform for kids between 0 to 12 learning Chinese progressively, interactive and fun. Anytime and anywhere! Simple Smartphone develops the "faciliphone" smartphone with apps and functionalities designed for elderly. iRewardHealth revolutionizes the employees' health sector. Digital, innovative and science backed - Integrating a healthy lifestyle for everyone. Journas is a content oriented social media platform that revolves around storytelling and sharing ideas. Joyners' on demand App transforms the aging experience by providing expert caregiver matching and a care team to promote healthy & active days. Koshk Comics is the world’s first Vertical Social Network for Comic Artists to connect and self-publish their comic books. Healthcare is one of the top 5 expenses for most organizations and Method Health helps people analyze their health, productivity, and medical costs. MMOODDEELL is a platform to connect models with clients directly. It is changing the game of modelling for models as well as clients by establishing transparency. MotionTag brings intelligence to mobility by developing a B2B ticketing platform for seamless pay-as-you-go traveling. We bring Light beyond lightbulbs. NuriBio develops gene-analysis platform technology for detection of various diseases using proprietary PROMER technology that is cheaper, faster, and more accurate. We automate decisions for investment and trading through an algorithm. 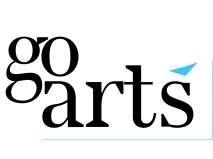 Pzartech contributes to reducing downtime through mechanical spare parts recognition. Providing solutions to help the world become sustainable by delivering affordable & solar-powered buildings. Our company RealSpeaker uses deep learning technology to help professionals convert speech-to-text without using keyboard. Rooplay is a Netflix of children's games. 100% biodegradable and compostable all natural sanitary pads from banana fiber. Simple.Expert is a new kind of Development Shop. We develop websites and mobile apps with the highest level of quality, at very competitive prices and in a scalable way thanks to use of Statistics, Artificial Intelligence and an Innovative platform model. Slido is an award-winning audience interaction platform for meetings and events. It allows event organisers to crowd-source the best questions for Q&A sessions, get instant feedback via live polls and share presentations with their audience. Smart company provides a smart sensor in order to solve parking issues. We are offering both the platform and the technological solutions to integrate various verticals (street lighting, mobility, waste / water management, environment) and create horizontal synergies towards more smarter, liveable and sustainable cities. Smart sensor platform for future cities trained to solve parking problems and reduce energy costs of streetlights. We make university experience simple for any international student through sport area. BeyonSense™ will be the world’s first portable, affordable, and smartphone-compatible SWIR camera. Books have not really evolved since Gutenberg. We are using the power of the web to take publishing to the next level by providing a digital web solution to universities. We enable governments and business to communicate with their audience seamlessly through our secure private anonymous communications platform CLAPPIO and help stranded city commuters with the nearest exit to their preferred destination with EXIT.ROCKS. We create a community where people can ask locals directly for people who cannot get information from abroad. Triple W uses its own algorithm and patented technologies of ultrasound systems to monitor the bladder to predict the excretion timing which supports people suffering from incontinence and people who need support with toilet care. Unu is the creator of a e-scooter. It is clean, fast, effortless and affordable: is has made e-mobility viable in German speaking markets, and demonstrated its ability to establish scalable e-vehicle development and operations. We help students navigate through College by providing scale-able, on-time, 24/7 student support, leveraging an AI-powered chat-bot messaging system. 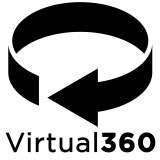 Virtual 360 is a production company of immersive content that works generating innovative pieces and platforms through the use of virtual reality. Waitry is a mobile ordering solution for restaurants, hotels, stadiums, casinos and events that allows users to make their order, interact with the staff directly from their cellphone, join group orders, split the bill and pay. The pilot is a device that goes in your ear and it allows you to have conversations in 15 languages. The flexible toy road. Let your imagination lead the way. Build yourself an endless adventure! 100% child friendly, unbreakable and suitable for any surface. Wevolve fixes organisational change by giving whole workforces personalised on-the-job coaching, via AI-powered mobile platform. We are making a universal shopping wishlist, and we are trying pushing the boundaries of Shopping beyond Entertainment. The world is lacking digital skills as technology has permeated our industries. World Tech trains Millennials and Centennials with gamifed adaptive technology that rewards you for learning. yQ offers a mobile ticket-purchasing platform for tourists to avoid queues and have meaningful experiences. Zaveapp is a mobile piggy bank for millennials enhanced with gamification and social features that enables people to save money for short term goals such as buying vacation, a new gadget or having an emergency fund. Zurielles help companies in hiring dedicated remote female developer teams or access top female tech talent through a premium marketplace.